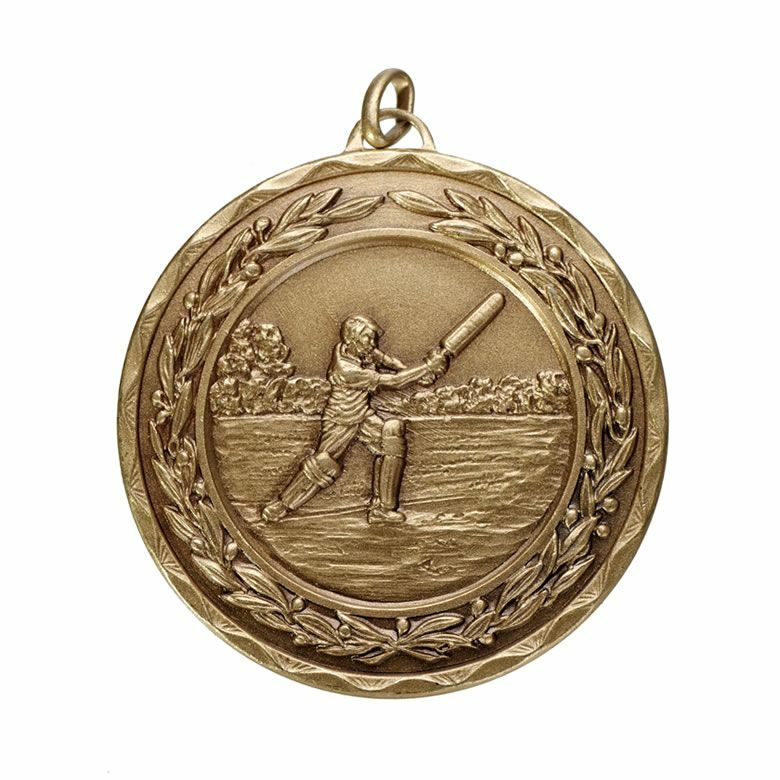 An affordable cricket medal complete with ribbon loop (ribbons sold separately) and with a bronze colour finish. 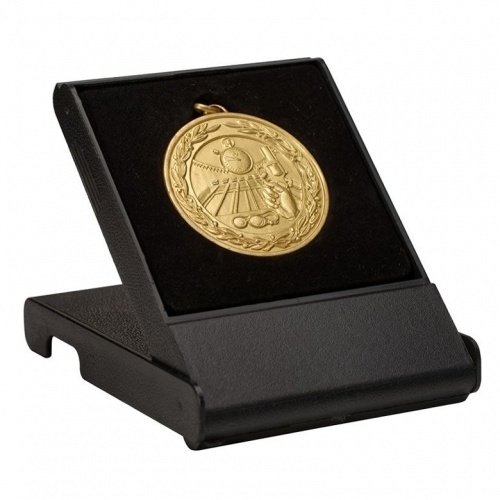 These 50mm diameter bronze cricket medals have a cricket scene on the front with a laurel wreath border and are offered here with low cost engraving on the reverse of the medal. 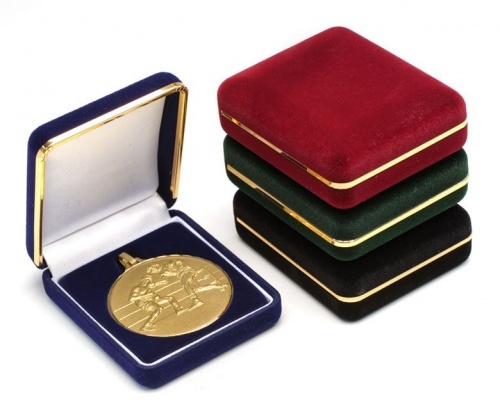 An optional deluxe velvet box is available in four colour options, or an optional low-cost plastic self-standing case is also available for these cricketing medals.